This home captures your heart the moment you pull into the circular drive. The feel of Grandeur immediately surrounds you. From the large fenced horse pastures, the 30X80 shop / garage which also includes 2 stables and tack room, manicured grounds surrounding the decks and open porches of the 2,800 square foot home, to the wonderful open views. Heading south from Sandpoint Idaho, 14 miles, is Blacktail Road. This will lead you to your new home located, conveniently between Sandpoint and Coeur D’Alene Idaho. You would not guess the last mile of road to be privately maintained as it is within the small (approximately 42 lots) of Little Blacktail. 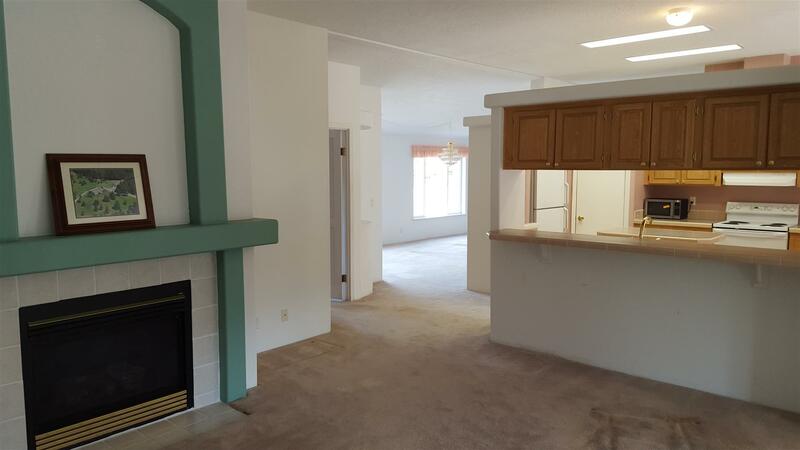 Expansive rooms through out the home with tall elevated ceilings give the 3 bedroom 2 bath home a much larger feel than the already impressive 2,800 sq. ft. Multiple heating sources with a gas burning fireplace in the living room. A family room at the main entrance large enough to easily be mistaken for the main living room dining area. The master bedroom has a walkin closet, master bath, and connecting bonus room. 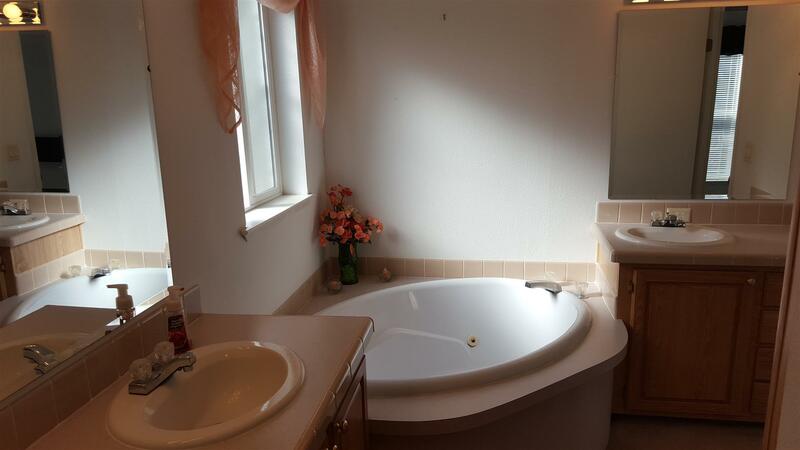 The bath has dual sinks as well as a jetted tub and separate shower. A laundry room, with exit to the rear open deck, has plenty of cupboards and sink. While much more can be said of the family room overlooking the mountains to the rear, the large windows to the front enjoyed by the living room and kitchen, the kitchen island with sink separating the living room, or the attached garage we need step outside to the grounds surrounding the home. A circular drive travels around to the rear of the home as well as by the oversized RV doors of the 30X60 shop / garage. 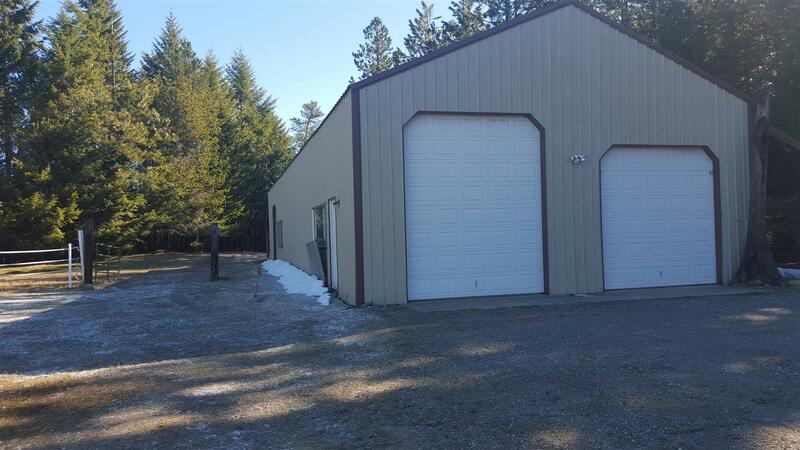 The building is actually 30X80, with a 12 foot lean-to the whole 80 feet and 20 feet to the rear being dedicated to 2 enclosed horse stalls, tack room, and hay storage. 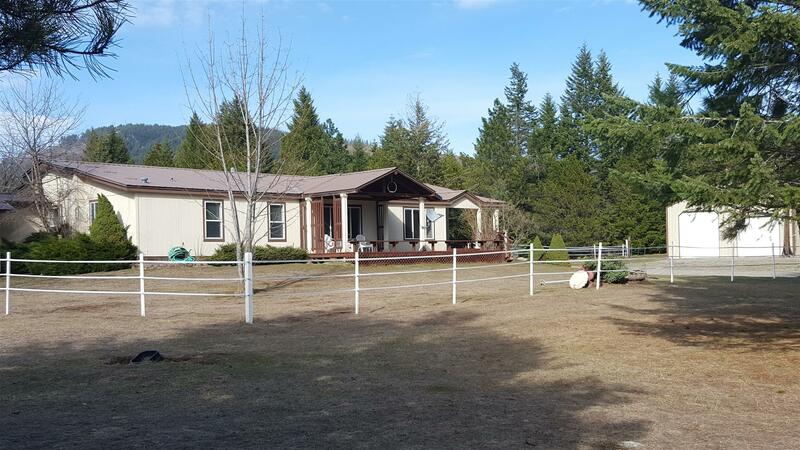 « Home for Sale Priest River Idaho – 4 bedroom 2,700 sq. ft.